Choose Alpha Chemical for the broadest selection of food and beverage processing cleaning solutions which offer expert formulations and unmatched results. The chemicals we produce for the beverage and food processing industries range from additives to industrial-grade cleaners, providing our valued customers with the selection of specialty formulations they expect, and the unwavering quality they can rely on. At Alpha Chemical, we are passionate about providing our customers with a combination of quality and variety. 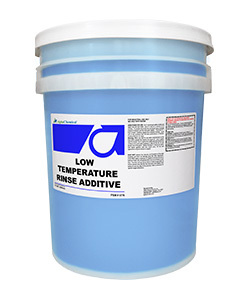 Our beverage and food processing cleaning chemicals are available in an extensive variety of unique configurations, including additives, aluminum safe cleaners, chlorinated cleaners, CIP and soak cleaning solutions, floor cleaners, foaming cleaners, heavy duty acid cleaners, heavy duty caustic cleaners, custom laundry detergents, manual cleaners, medium duty cleaners, specialty cleaners, specialty products, spray cleaners and more! If you can’t find a product that suits the requirements of your industry or application, simply contact us and we will be glad to discuss our custom formulations. We are always willing to work with our clients to develop an ideal product for their needs. Alpha 501 Wallop is a non-caustic foaming detergent that is highly efficient and cost-effective. Specially designed for use in the food processing industry. It is a highly concentrated formulation and when applied through a mechanical air operated device produces thick, stable foam to clean surfaces such as aluminum and galvanized and anywhere that caustics may cause damage. 501 Wallop is allowed for use as a cleaning agent in food processing plants on all surfaces under USDA regulations. 501 Wallop is effective in the cleaning of produce processing plants, seafood, meat, beverage and poultry plants.